my wife’s favorite Valentines Day gift! My better half thinks Valentines Day is an absurd event. “Commercialization at its finest”, she rails. So, the question virtually every year is how do I show my wife I love her. Oh, I can humor her with a crazy or sentimental card. But forget the flowers ( “they just die and fade away” ). Box of chocolates? “Generally speaking, not healthy”. “Oh maybe silk pajamas next year”. Wow! what’s a guy to do? 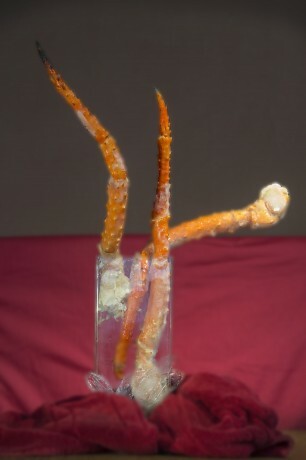 My wife adores a good dinner at home and is especially pleased if it includes wild caught Alaskan King Crab. Complimented perhaps with a glass of champagne to celebrate the occasion and my sweetheart is good to go. Boy, I love practical women. Especially my wife Nancy.